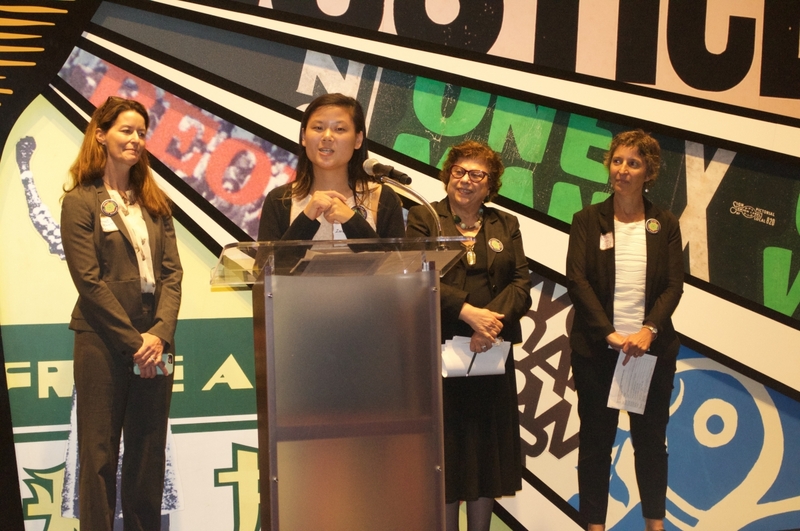 The Launch Event coincided with the 70th anniversary of the Universal Declaration of Human Rights. 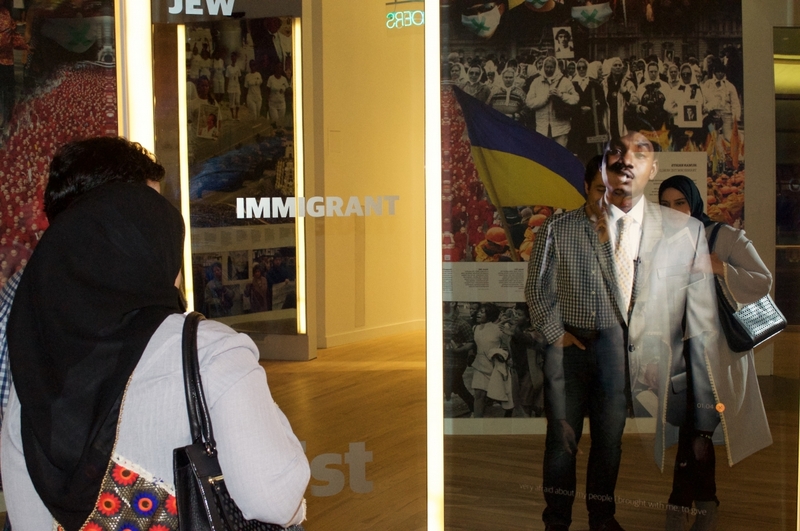 The exhibits on display at the Center highlighted key points of the American Civil Rights Movement and Global Human Rights Movement. In addition to the Center’s own exhibits, RCE Greater Atlanta had miniature exhibits for the seven Sustainable Development Goals (SDGs) it focuses on along with SDG 17: Partnership for the Goals. 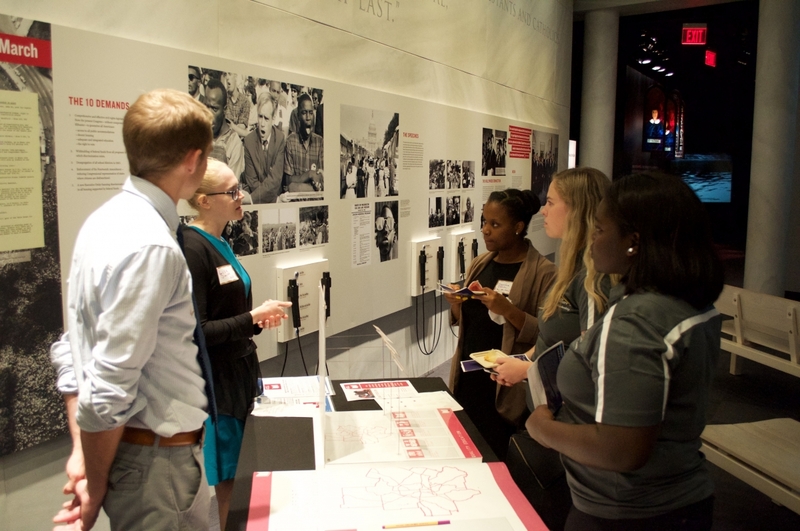 Members of the Youth Network, the college student and young alumni branch of RCE Greater Atlanta, helped curate content for the exhibits and provide volunteers to staff the exhibits. Student volunteers educated and initiated discussion on the significance of each SDG, both globally and at home in Atlanta with attendees. Undergraduate students in an architecture course at Kennesaw State University designed and built display models for each SDG. The Launch Event was a big milestone for RCE Greater Atlanta but this will not be the last of our accomplishments. In the coming year we plan to launch the Environmental Justice Academy, engage more students in the Youth Network, and continue educating, inspiring, and partnering with the Greater Atlanta community to take action towards achieving the Sustainable Development Goals. If you would like to learn more about RCE Greater Atlanta, please visit our webpage or Facebook Page. If you would like to get involved with the Youth Network, please visit our Facebook Page or email rceatlyn@gmail.com.